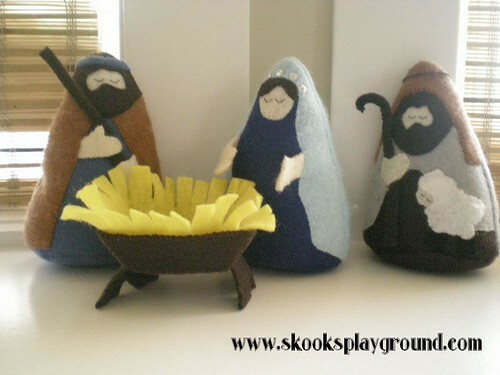 Ok, who was with me last Christmas when I decided to embark on the "make the kids their own felt nativity" project? Anyone? Well, to refresh . . .
Last year I found this very cute pattern from BuggaBugs on Etsy to make a felt nativity. I got to working on it and then the wind went out of my sails when the kids were gifted a lovely felt nativity from their great grandmother that was in her personal collection and made in Kyrgyzstan. I tried to persevere, but I far from finished. In fact, in the end all I had was the manger, baby Jesus, Mary, and a Shepherd. Why I didn't make Joseph before I made the Shepherd I'll never know. But I did. So, kind of awkwardly, said Shepherd was kind of a Joseph stand-in. I know . . . like I said, AWKWARD. So I made a little vow to myself that even if I didn't have time to finish the whole nativity this year, I'd at least make Joseph so the Holy Family could be the Holy Family and the Shepherd could just go back to being a Shepherd. I hope these last few days before Christmas are joyful and sweet and filled with the Peace of Christ for each and every one of you. My goodness . . . if RetroMummy doesn't have the best giveaways. 20 Fat Quarters of Flower Sugar by Lecien? Um . . . YES PLEASE. You're looking at 'em. 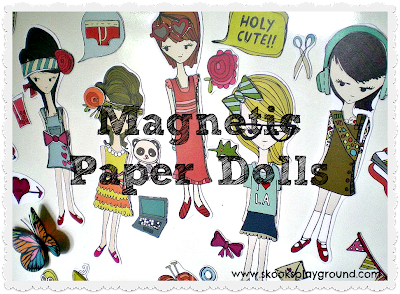 The super secret project that has kept me locked inside my sewing room for the past 3 days. Christmas gifting in our family is going to be slim this year, but I still wanted to make something for my 2 favorite little people. 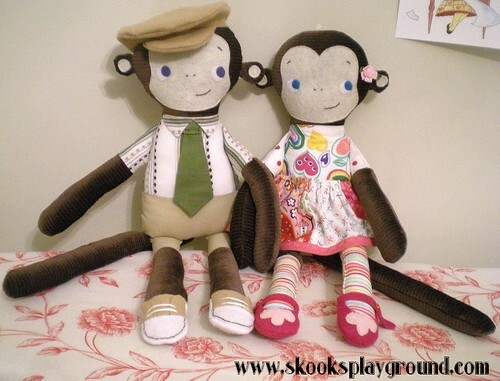 I had been sitting on these patterns (Molly Monkey and Mikey Monkey) for the last YEAR . . . 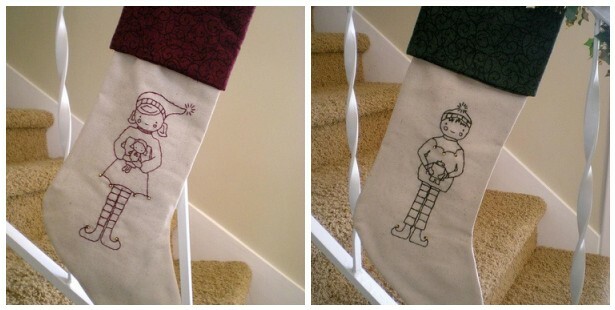 I had intended on making them for the kids for Christmas last year but just plumb ran out of time. An added challenge I put on myself before I started was to see how few things I could get away with buying. I wanted to see how creative I could get with my somewhat modest stash. I love seeing piles on piles of gorgeous fabrics on shelves . . . just waiting for the perfect projects. But the truth is for me, most of my stash consists of the scraps of leftover fabric from my previous projects, and a few pieces here and there that I pulled out of the remnant bins on clearance. I just don't have a fabric category built into my budget. Opening my stash drawers reveals my love of girly fabrics . . . maybe because I'm a girl and because most of the stuff I've made has been for girls. So I had a little trouble coming up with the fabric for Mikey. 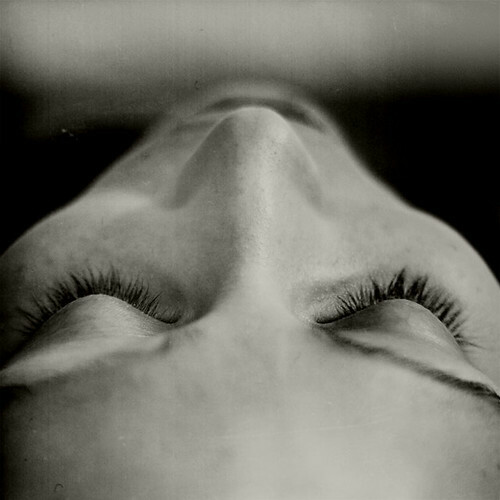 Until I had a little brainwave. Recently, my nephew was born and I had pulled out all of Kee-ku's little newborn clothes to offer to my sister in case she needed any of them. It was upon going through those clothes in the bin I realized how tragically stained some of them were. What's odd is I don't remember putting stained clothing in there, so I don't know if time just kinda warped some of the stuff and stains that weren't terribly visible just decided to show themselves or what. Anyway, it was a bit disappointing. Here's one that I found. It's a little guayabera-esque one piece that Kee-ku wore to a wedding we went to when he was about 2 weeks old. I so very much wanted to salvage the buttons, but they pose a choking hazard for a 16 month old so I had to leave them off. :( The little detailing on the sleeves would have been SO cute to work in, don't you think? So yeah . . . there was some inexplicable staining on that shoulder and part of the collar so obviously no other kid was going to wear it again. I wish I had a picture of Kee-ku in it, but he was swaddled in a wrap the whole time we were at that wedding so I fear that none exists. Here are a few "in process" shots . . . I did take a few very tiny breaks from my toiling to snap these pics, but had no time to make separate blog posts for them. I decided to cut into a piece of Alexander Henry's "Love-In" that I've been sitting on for a few years to make the body for Molly. 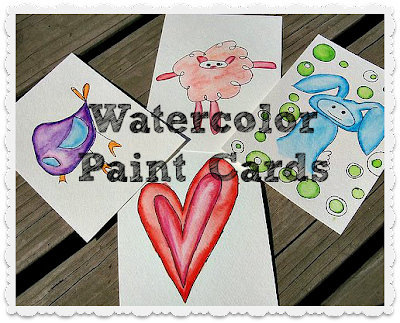 I just adore those fun colorful hearts. Her little skirt was made up of charm squares that I acquired from my last swap and her "socks" were made from a colorful stripey remnant I bought awhile back for 87c. For some reason I had lots of that luxurious brown chenille leftover from the cloth baby book I made for my cousin's baby about 2 years ago. I used very little of it on the book so I was kind of astounded that I had enough left of it to squeeze out enough pieces to make TWO monkeys. Anyone else finishing up some last minute holiday gift-making? Linking up with the best of em RIGHT HERE! Who says commenting early doesn't pay? Oh, and thank you to the 145 people (WAHOO!) who entered. I see some of you are new followers (I tried to respond to each and every comment that came in . . . it kept me busy!) . . . so happy to have you all. Anyone else win anything this go round? 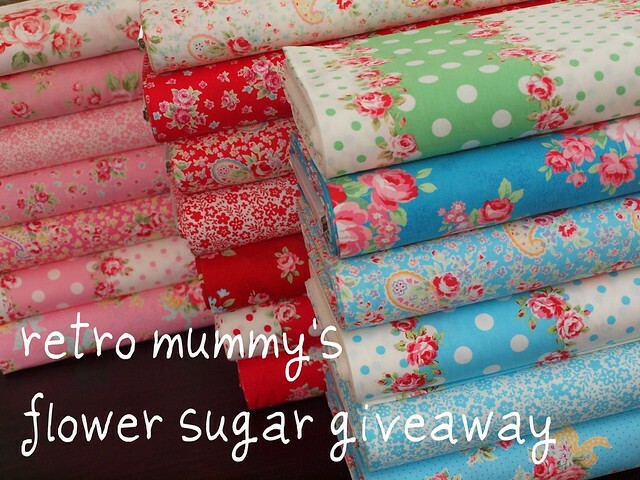 Looking for the Sew Mama Sew Giveaway? It's RIGHT HERE! This past weekend my friend came over prepared to get her bake on. Simple style. And Little Miss was so excited. We made up 3 bags of sugar cookies (I didn't say we SCRATCH-BAKED), and frosted and decorated them. Little Miss especially loved smashing up the dough in the bowl and sprinkling all the little goodies on top. But that's not really what this post is about. This post is about Chocolate Candy Cane Cookies. I found the recipe AND the make-em-fast version over on Centsational Girl. I have whipped out a few delectable and kinda TIME CONSUMING baked goods in the past (hello, Paula Deen Homemade Coconut Cake with Homemade Coconut Icing), but I'm no baking snob and will cut corners in the interest of time and/or sanity as the need arises. So remembering how easy the make-em-fast version of these little cookies was, I grabbed the necessities from the grocery store. (That sounds wrong. I *did* pay for them too.) Only I made them even EASIER by just buying the premade frosting. I said it! I bought pre-made frosting. And I'm fine with it! I'm sure these taste even better with the homemade recipe, but I was going to for instant gratification here. For fun (and to make the frosting stretch a bit further) I did whip the frosting with my trusty hand-mixer first to give it a bit more fluff and volume. Then I just slathered some on between 2 chocolate wafers while Little Miss took care of the candy canes. Um . . . she LOVED doing this. Then we just rolled up the edges in the crushed candy canes and gobbled em up. As promised, today is GIVEAWAY DAY! I've participated in Sew Mama Sew's Giveaway Day a few times in the past as an enter-er (that is, I've been one of those people click-clacking away like it was my job on every giveaway post on the list in the hopes of making some sweet scores), but this is my first time hosting a giveaway. I recently celebrated my one year blogiversary . . . and it was such a fun year. 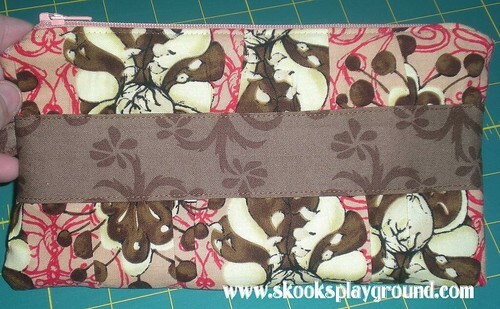 Awhile back I started testing out Noodlehead's clutch purse pattern to see if it might be something I'd like to sell in my (someday I'm going to do it . . . for reals) Etsy shop. This little cutie was crafted with a ton of love and care, but as I was not yet a pro at the pattern there are a few minimal flaws. Not quite good enough to sell, so now you can get it FOR FREE! It's still adorable (in my humble opinion) and totally functional (but do be gentle with her zipper!) 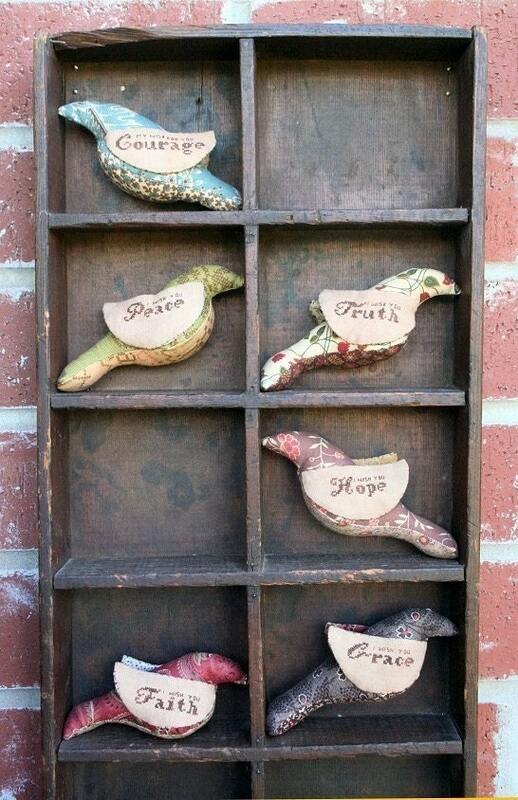 and would be a sweet addition to your purse wardrobe (do people have purse wardrobes? Some people must!) or as a lovely handmade gift for a friend or loved one (I'm sure you could think of someone who would love her!). 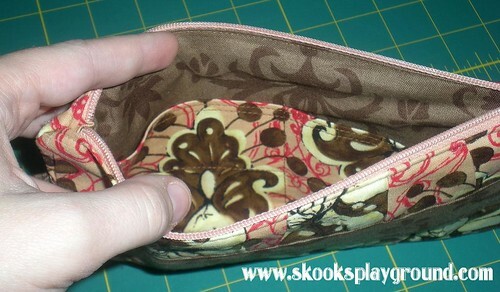 It's got space for a few credit cards, your wallet, cell phone, your keys . . . all the little essentials you need! 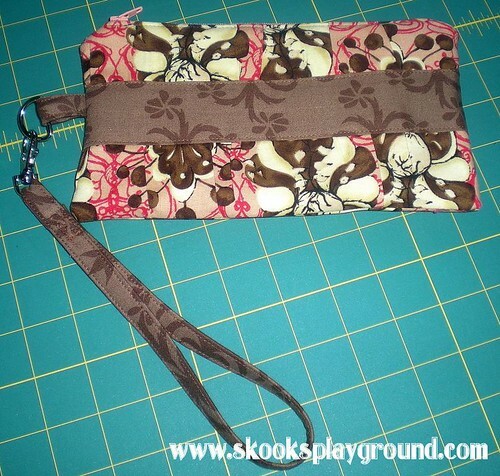 If you've got little ones in tow, might I suggest how sweet it would be to have this in your diaper bag as a little grab and go while you're out and about? Would that I had a better camera at the moment to capture how beautiful my Christmas tree looks this year. This is our first Christmas in our new home so it's extra special to me. I'm not sure if you can tell, but the star on top is capiz and it's absolutely gorgeous. I found it at Target last year and love how classic it looks. We have a very "family" oriented tree. There's no cohesive theme, just our collection of ornaments gathered over the years reminding us of the Christmases we have celebrated with our loved ones in the past. Thanks everyone for visiting with me and checking out our little tree! I can't wait to see how everyone else is making their home festive for the holidays. 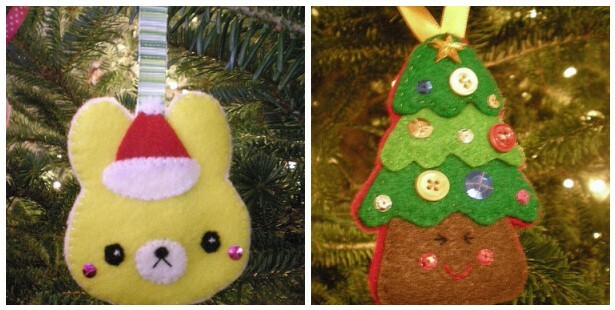 Anyone else attempting a handmade Christmas this year? I found this recipe on a couple of blogs just before Thanksgiving. I don't have any delightful "after" pics, but let the pics over on Inside BruCrew Life and Moogie and Pap tantalize you. They sure tantalized me. Not a ton of "process" pictures for you here. Just wanted to let you know how to do this recipe with a little helper. Ask them to line the tin with the muffin cups. Start working on the recipe while they are busy with the muffin cup business. When they're done lining the tin(s), instruct them to place one Oreo in the bottom of each of the cups. While they're busy continue working on the batter. Pour the batter 3/4 full in each of the cups over the Oreos. Let them drop an extra Oreo on top of the batter of each one and help them g-e-n-t-l-y push it in. Whip cream 'em (the cheesecakes, not the kids). These were so good, we made 'em twice in the month of November. I think they'd make a fab dessert for a Christmas get-together too. 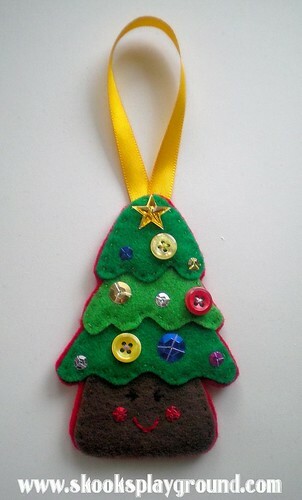 As I referenced in my previous post, I used the Christmas Tree Hanging Decoration pattern by JoJoEbi Designs. As I was using my own materials and not one of her kits, I just used some buttons and sequins I had on hand rather than brads which I have none of. Come to think of it, I'm pretty sure I've never used a brad on anything before. Hand-sewing is not something I do a lot of these days, but it's a nice change of pace from all the heavy projects I've been doing lately. I'd attempt to take a picture of Kee-ku with his ornament, but I'm sure he'd just try to eat it like he does with everything else. You know . 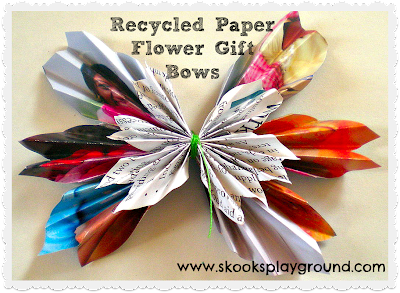 . . it's been awhile since we had a little "Getting Creative with Kids" post. Believe you me we have been getting creative around here quite alot, but my motivation to blog about it has not always been overflowing. Also, I frequently forget to take pictures of the stuff we work on. Today the camera was handy though, and I caught the tail end of our latest project: Magic Scratch Ornaments. 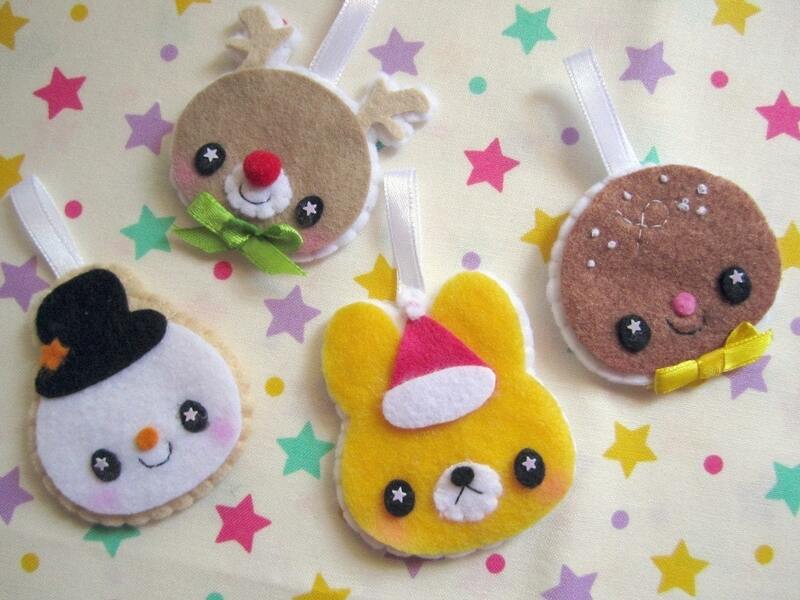 Cut up your paper into some ornament-y shapes. Ours were precut as a circle, heart, star, and an angel. Punch a hole in the top. 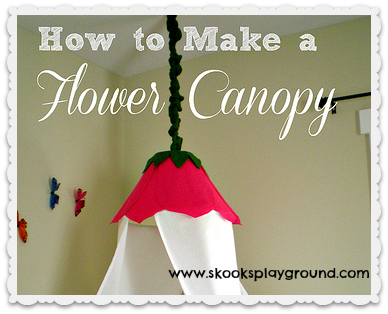 Take a small piece of ribbon and loop them through the hole and VOILA! They are ready to hang. 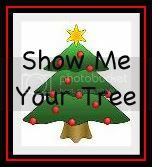 On your tree, or wherever you fancy you need a little fun. The angel now resides in the playroom. Little Miss very intentionally drew a circle on the top of her head . . . I don't know if she completely gets what it's supposed to be, but she had the idea to draw it and did so. You can barely see it . . . it's quite little, which kind of makes me love it all the more. Carrying on the tradition that my mom started oh so many years ago, handmade Christmas ornament season is now upon me. Last year, I took my first stab at making handmade ornaments for my kids using the Snow Child pattern from A Bit of This and A Bit of That. As I started to pull out my Christmas decor this past Monday I found them and couldn't help smiling. The question is . . . what am I going to make for them this year?! 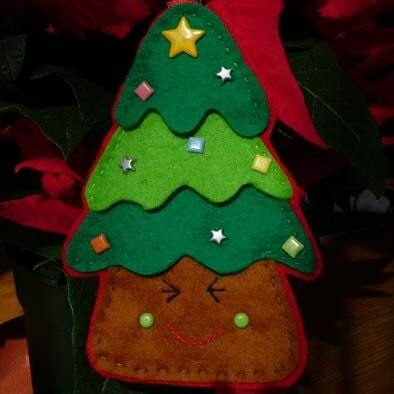 I have another pattern from the aforementioned store that is in contention this year: a cute little Christmas Tree (you can find the kit here or the pattern alone here.) 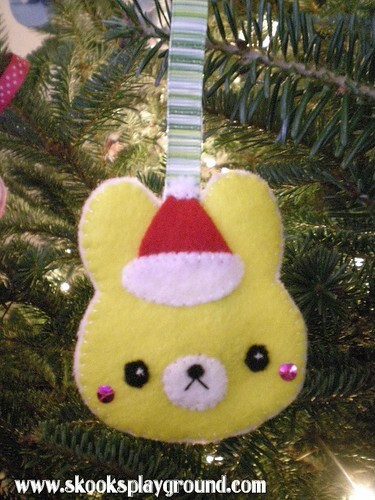 I will likely use that for one of the kids (I'm leaning towards Kee-ku), but I don't want to make them each the same exact ornament. 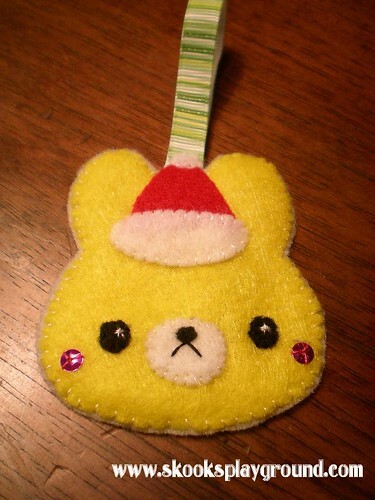 I know, I kinda made them almost the exact same ornament last year. Whatevs. Not in the market to buy ornament patterns, but still want to give your tree a handmade touch this year? 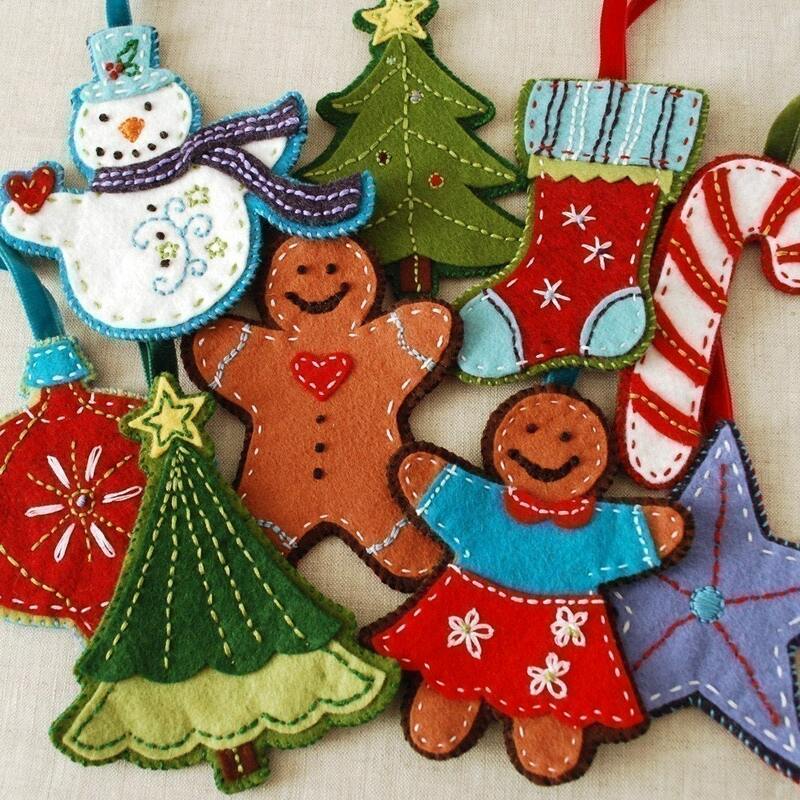 I just discovered that Elsie Marley is posting a new ornament tutorial every day this week! Definitely worth checking out. Over the Thanksgiving holiday, we packed up the kids in the ole minivan and drove a few hours southwest to visit my family. Getting out of town is nice for a myriad of reasons, but one that I often don't think about until it's upon us is the drive itself. The kids have historically been easy on these little road trips. Sure, we've had our share of challenging moments (especially when Little Miss was a baby-person), but overall it's usually a good ride. The drive home this past Sunday was no different. After a long day of football-watching (yes, we're crazy over football in our house), we took off down the road for another great heart exchange. Mr. Skooks posed me some tough questions and after some thought I decided that I wanted to share them with you. For those of you who have been with me for awhile, you know that I have mused about and mentioned here and there the idea of opening up my own Etsy shop. I had it in my head to dream about selling my creations before I even started this blog, but I had no confidence in my abilities and wondered at who would ever pay me to make something for them. Not to mention the fact that in this economy it is hard to imagine being able to actually command a wage that would make all my hard work worthwhile. While I haven't completely sorted all these feelings out, I had Mr. Skooks there to start really prodding the answers out of me. "How serious are you about this business idea?" For months now Mr. Skooks has watched me busy myself and stretch my time on projects that have been given as gifts to my loved ones. And while he has been supportive of my desire to do this and taken full responsibility for the kids time after time so that I could have the time and space to do so, he has periodically asked me, "When are you going to start putting some of that time into your own dreams?" Over the last year, he's listened to me drone on and on about all these creative bloggers and designers who make these amazing things. He's seen me taking furious notes while I sit at the computer, or read an inspiring book . . . and he's saying to me, "I'm ready for you to stop focusing on what everyone else is doing and start living your own dream. Regardless of the outcome." He's right. Of course. There is no way to know what's out there if you never leave the house. In my best "I'm not making excuses but really I can't start this second" voice, I did inform him of the few sewing goals I had for this month which will not move me towards making any kind of cash. 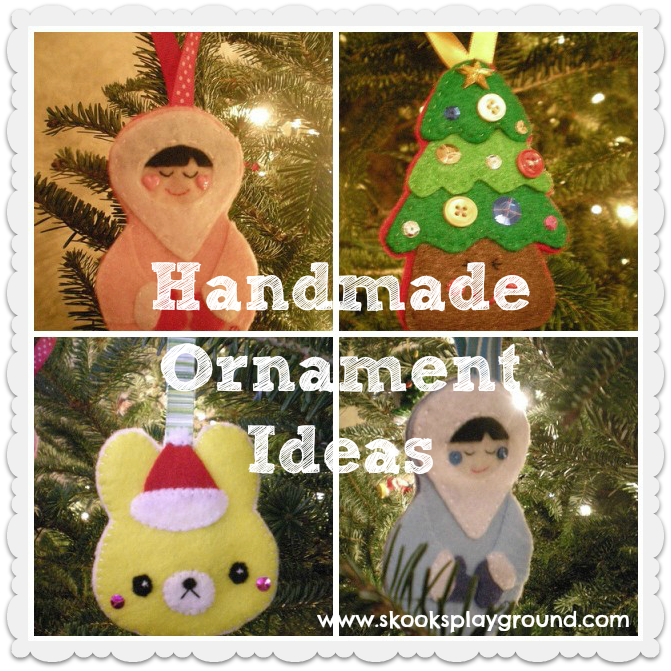 Namely, I intend on making each of my kids a Christmas ornament to add to their "Mommy made me this" collections, and I would like to make each of them one gift for Christmas. Oh yeah . . . I also wanted to be able to work on a bit more of my handmade nativity scene for the kids. 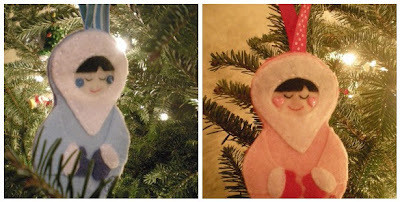 Last year I was able to complete Mary, a Shepherd, and Baby Jesus . . . would like to at least get Joseph done this year. LOL. BUT . . . AFTER THAT . . . I do really want to start taking myself a little more seriously. 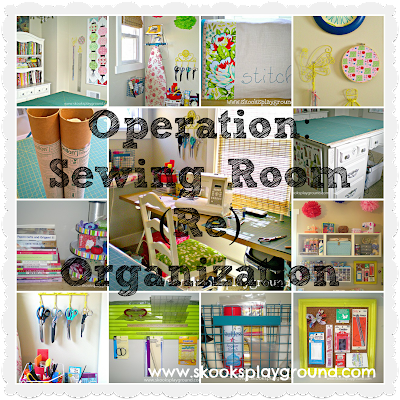 Mr. Skooks and I began strategizing a plan that would get me some time to myself every day to sew, think, plan, and dream. I can't quit my day job so I won't be able to get in quite as many hours a day as I might like to on it, but every little time chunk will get me closer to realizing my dreams. I know I'm not alone in feeling a bit selfish at times for taking time on my own. Moms as a rule tend to file their needs and wants behind a few other people in the family. It wasn't only "nice" to hear Mr. Skooks say that he wants me to work towards my goals, it was downright liberating. I am truly blessed to have him as my husband. Who are you thankful for today?